Wi13 registrants who booked a hotel room through ConferenceDirect will receive a reservation confirmation by e-mail from their hotel this week; all modifications should be made through ConferenceDirect. Booksellers heading to Winter Institute should plan to tour some of the great local indie bookstores of Memphis. In the meantime, get familiar with the city through these book recommendations from local booksellers. Booksellers who weathered natural disasters will offer real-world advice on how to help independent bookstores prepare for and survive a natural disaster or other emergency. Booksellers will have plenty of chances to socialize with colleagues, publishers, and authors in between educational sessions at Winter Institute. Help Binc Light Up Winter Institute! The Book Industry Charitable Foundation (Binc) will host a “Heads or Tails” game at this year’s Winter Institute, where booksellers can donate money to Binc by buying flashing pins for a chance to win a $500 AmEx gift card. Attention Booksellers Traveling to Winter Institute: Is Your State REAL ID Compliant? Before traveling to Memphis, booksellers should make sure that their state is REAL ID compliant, and if it is not, check whether it has received an extension from Homeland Security. Bank Square Books and Savoy Bookshop & Café have created a new store tradition dubbed the “Mini Winnie”: a miniature version of Winter Institute conducted on home turf in the weeks after the event. 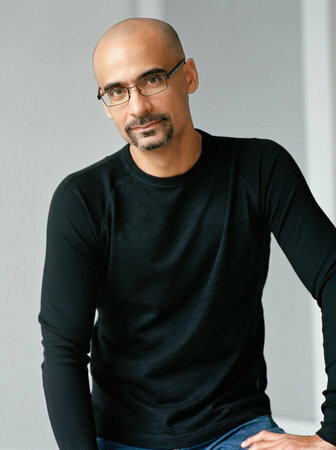 Junot Díaz, whose first picture book for children, Islandborn, comes out in March, will appear as a keynote speaker at the American Booksellers Association’s 2018 Winter Institute in Memphis this month. A number of special events taking place during Winter Institute require registration, including advanced education sessions, a finance workshop, a used bookstore forum, and more. ABA is inviting all booksellers attending the 2018 Winter Institute to take part in an open discussion about industry and association issues at a Town Hall Meeting on Wednesday, January 24. With Winter Institute just around the corner, booksellers should start getting out their suitcases — and singing along to ABA’s Winter Institute-themed playlists on Spotify. 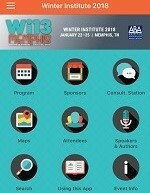 Attendees can use the app to access the Winter Institute schedule, create customized agendas, message fellow attendees, view keynote speakers and appearing authors, and more. One size does not fit all when it comes to effective e-mail newsletter marketing, and ABA’s IndieCommerce team will explain why during a session at the January 22 IndieCommerce Institute in Memphis.